Collecting can included practical items like water jugs and ashtrays as well as advertising signs and posters. Free standing figures depicting characters which often became indelibly associated with one particular brand. 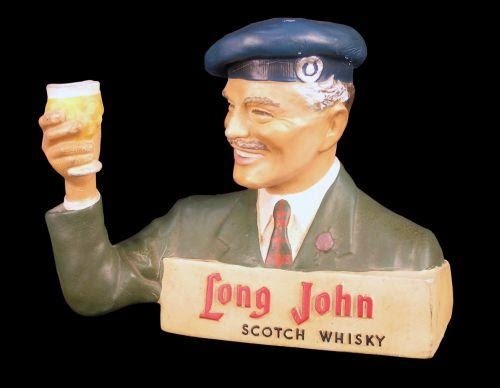 Many of these figures pertain to alcoholic drinks although there have been advertising figures for other areas the bubble-blowing boy of Pears soap, pastoral figures for Yardleys, horses for Elizabeth Arden and even the Dulux dog are perfect examples. For example, the distinctive dogs of Buchanan's Black and White Scotch Whisky, some with a built-in space to stand a bottle, are valued from £80-$120. 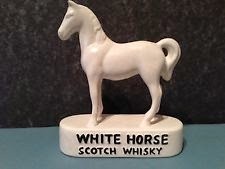 A White Horse Whisky plaster compound figure 10" high £50-$80 . 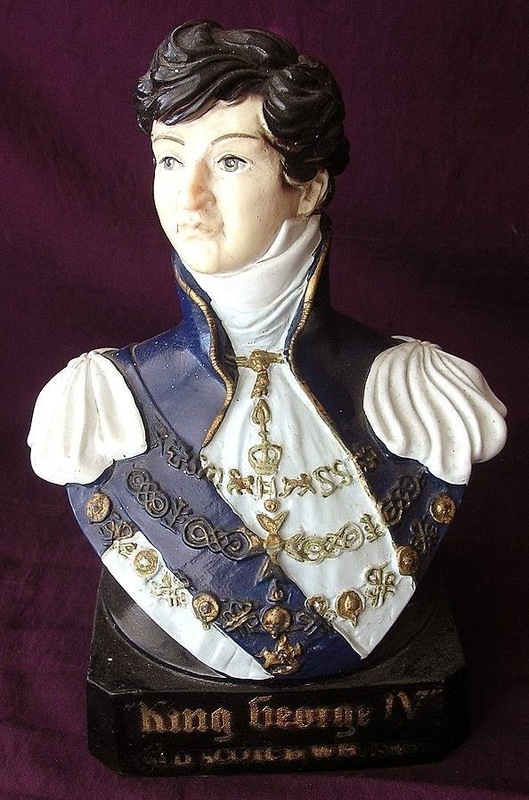 Dewars kilted figures, can sell for £70 -$100 and upwards , The Greenlees Clay more paperboy figure in porcelain, one of the more desirable figures, from £1,000-$1,500. Old our new, many advertising figures seem to have changed little over the decades.